This post is sponsored by PetSmart and the BlogPaws® Pet Influencer NetworkTM. I am being compensated for helping spread the word about Only Natural Pet available at PetSmart, but DogVills only shares information we feel is relevant to our readers. PetSmart and Only Natural Pet are not responsible for the content of this article. When you adopt a pup, you take on the responsibility of giving them the best life possible. A huge part of that includes making sure you’re feeding them healthy dog food. Just like the foods we find in our own grocery store, not all pet foods are created equal, and not all choices are equally as healthy. So how do you shop for healthy dog food and know that you’re actually getting something that is beneficial to your pooch? Check out these things to consider during your next pet food shopping trip. I’m also sharing two bits of exciting news! The first: Only Natural Pet®. a leading natural, sustainable pet brand, is now available at more PetSmart® locations. The second? It’s a surprise! Keep reading to find out! I feel like I’ve learned a lot over the years about how to choose healthy food, yet even I am still always learning more. 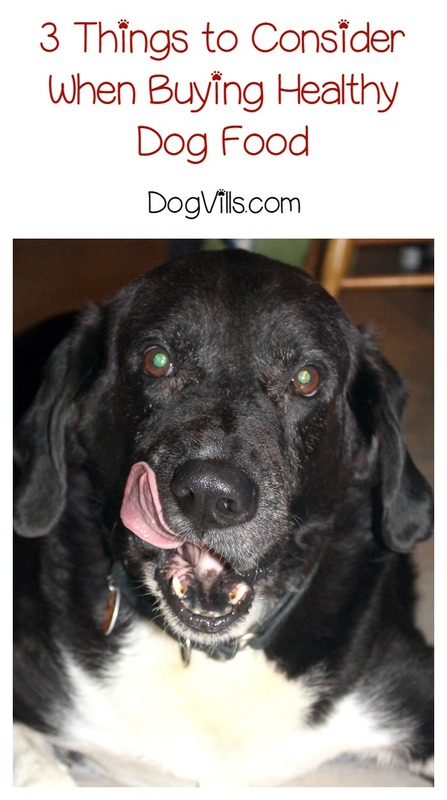 One of my favorite articles from Only Natural Pet talks about what you need to know about your pet’s food. Below are some things I’ve learned both as a long-time pet parent and from this excellent article. During my early years as a pet parent, I made a lot of mistakes when it came to choosing the right food. I assumed that price was the sole factor in determining the quality of food. High price equals high quality, right? Wrong. While quality food does cost a bit more than bargain kibble, price is not the sole factor in determining a food’s nutritional value. I’ve learned to read the labels and look for things like high-quality meat as the first ingredient. I’ve also learned which ingredients to avoid. Only Natural Pet has a list of unacceptable ingredients that they will never allow into their products. I suggest checking it out. Not only so you can see how seriously they take the ingredients that make up their products, but also so you can print out the list and keep it with you as you shop for other brands. If you look at that list of unacceptable ingredients, I bet you’ll see a few things that sound pretty natural, like animal digest and beef tallow. While these things do technically occur in nature, they’re not all that great for your dog. Think about it this way: grapes are totally natural, yet they’re absolutely deadly to your dog. While animal digest and beef tallow aren’t poisonous to pooches, they’re definitely not quality ingredients. With Only Natural Pet, I know my dog is getting only the highest-quality. All of their human-quality products feature natural, clean ingredients. 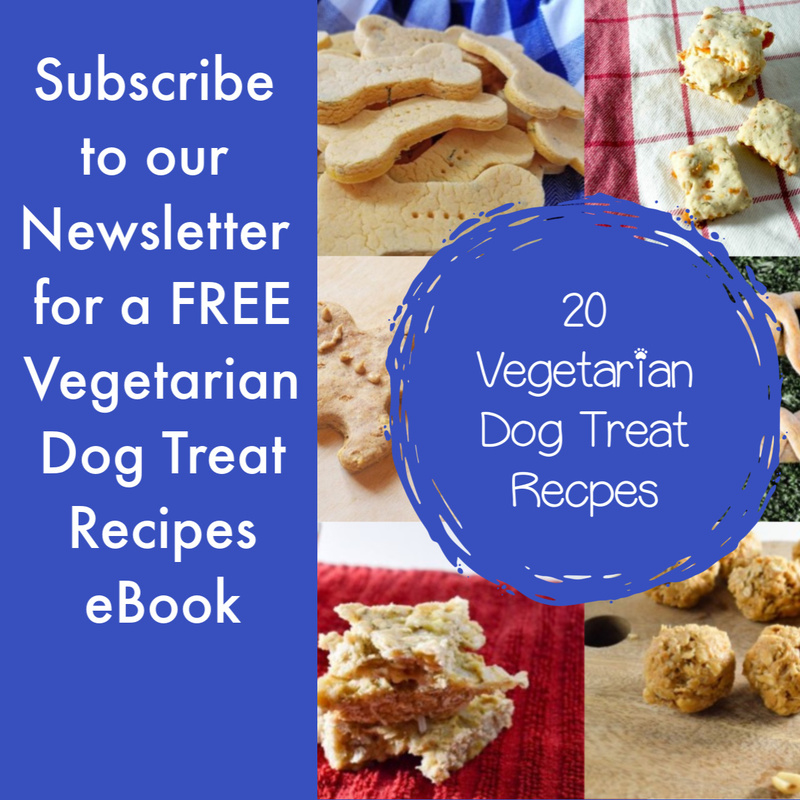 Variety is the spice of life for your dog, too! I’m not sure where we came up with the idea that dogs should eat one brand and flavor of food at every single meal every single day of their life. Can you imagine how boring that must be for them? Rotation diets, in my opinion, are so much better for your dog. By rotating, you reduce the chance of your pooch developing food allergies, ensure that he’s getting balanced nutrition and just plain make things more exciting. Of course, you can’t just rotate all willy-nilly. I rotate not just between kibbles, but also between types of food as well. For example, rotating frozen or dehydrated raw with canned or kibble. 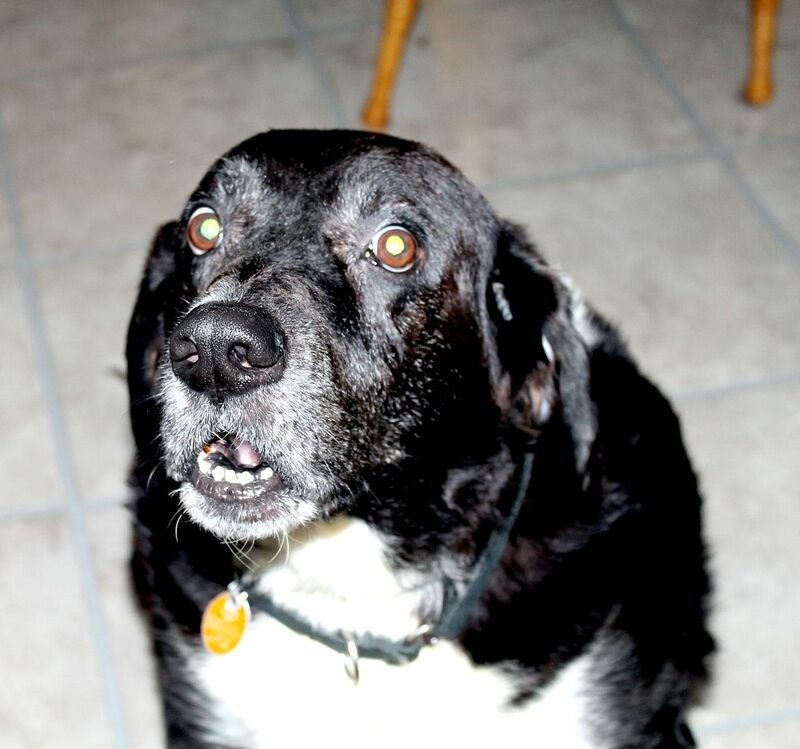 I received a great selection of healthy dog food from PetSmart and Only Natural Pet to try with Cooper. 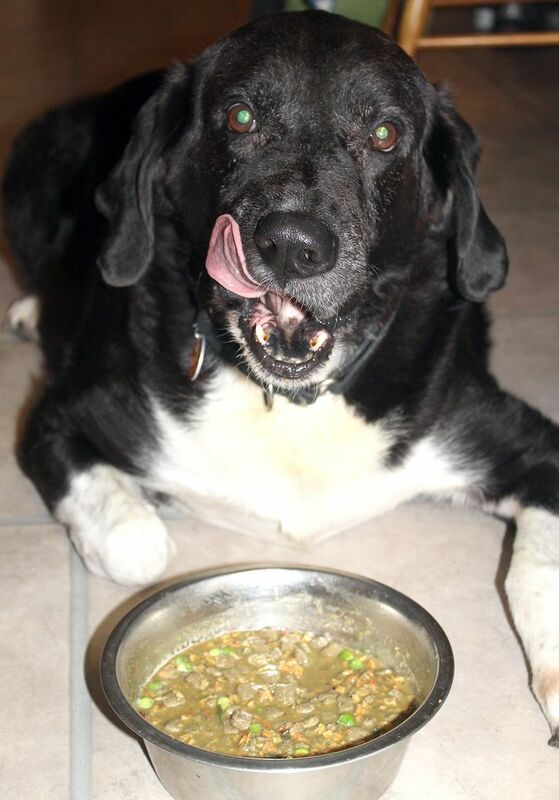 One of his favorites is the Wholesome Homemade Grain-Free Dehydrated dog food. 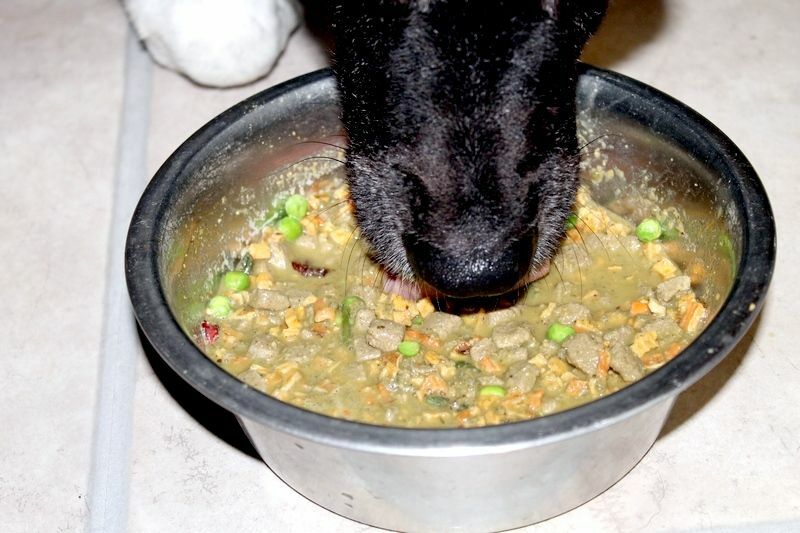 On the pet food freshness scale, dehydrated food is second only to frozen raw food. The food is easy to prepare, just mix equal parts of the mixture with warm water, let it sit for about 10 minutes and serve. Look at that mix of meats, veggies, and broth! Cooper was being super lazy that day, so please excuse the fact that he didn’t even bother standing up to eat. As you can see from the chop-licking, Coop definitely liked it! He’s gotten a bit pickier since he lost his “sisters” earlier this year. Once upon a time, Coop would eat pretty much anything you put in front of him. I guess he feels like he needs to take up Tasha’s role as the finicky eater? I am alternating the dehydrated food with high-quality kibble. 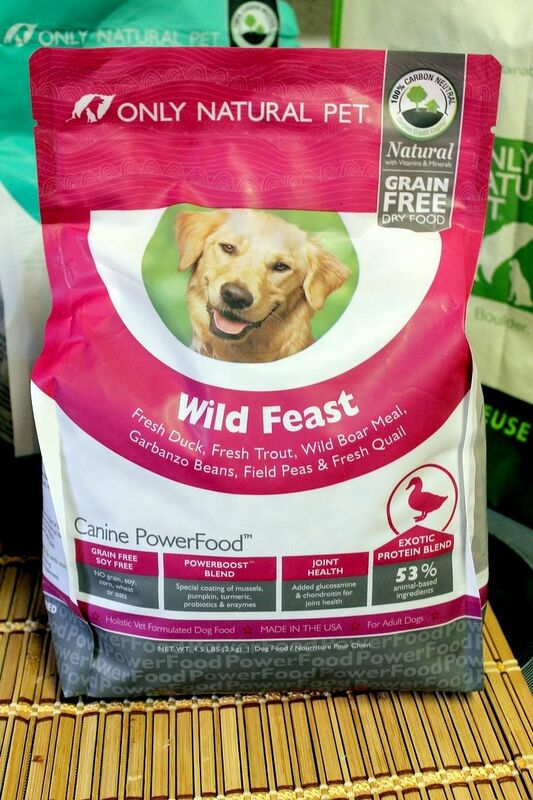 The Wild Feast Canine PowerFood is Cooper’s favorite kibble right now. It’s made with “exotic proteins,” like duck, trout and boar. 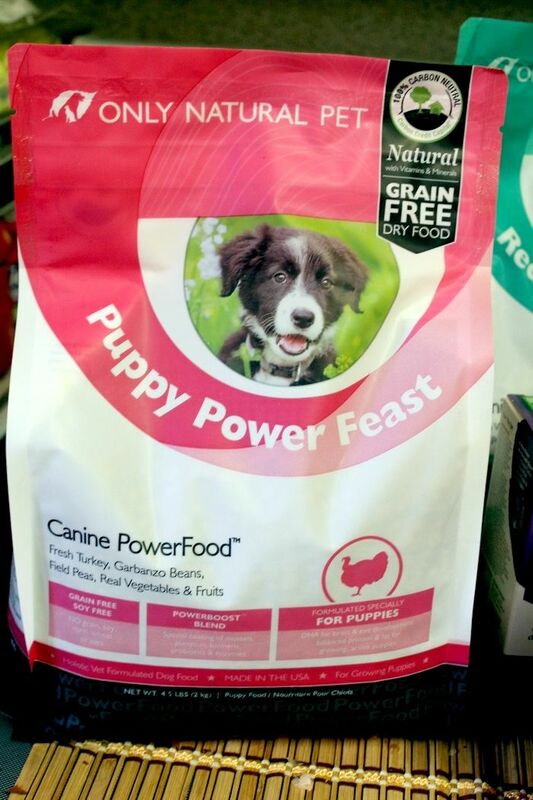 If you have a dog that’s allergic to common proteins, this is a fantastic option. I also got a bag of Puppy Power Feast. It’s like they’re psychic or something because I’m getting a puppy! A Pharoah Hound. That’s my super secret exciting news! We’re going to pick her up tomorrow. Expect lots of pictures! We are getting her a little sooner than expected, so I’m in crazy prep mode. I need so much stuff for her! At least I know I have a great puppy food to transition her to! Here’s some even more exciting news: as I mentioned above, you can now find Only Natural Pet products in even more PetSmart locations. Only Natural Pet’s mission is to make it easy for you to make healthier choices for your pet. Their partnership with PetSmart means you never have to go far to find the high-quality food, treats, and supplements. If your PetSmart isn’t carrying their products yet, you’ll also find a great selection of Only Natural Pet dog and cat food online at PetSmart. What do you look for in a healthy dog food? 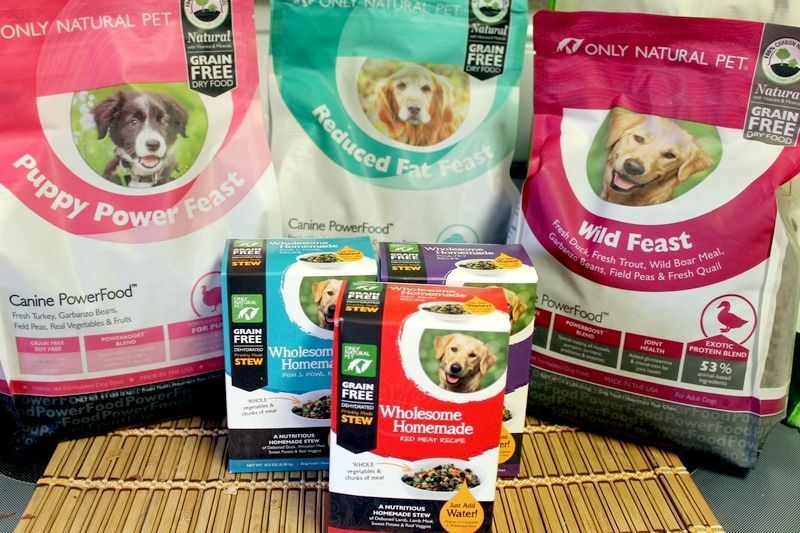 Have you tried Only Natural Pet? Share your thoughts in the comments!